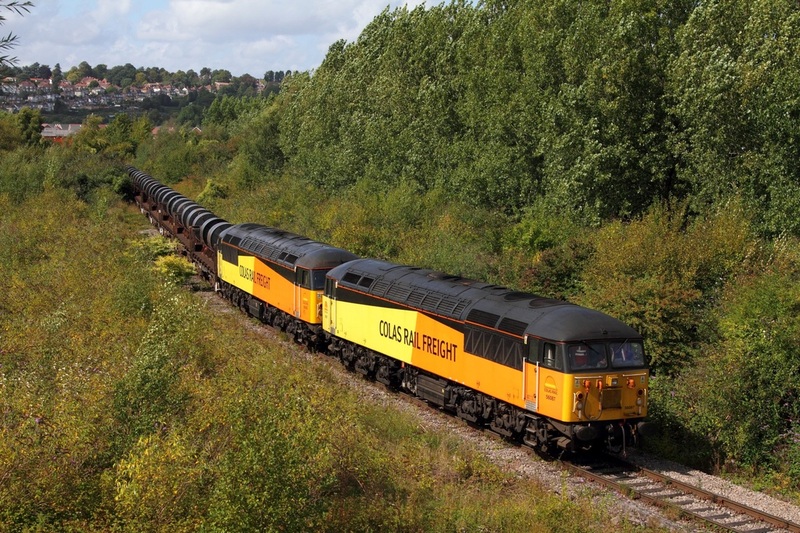 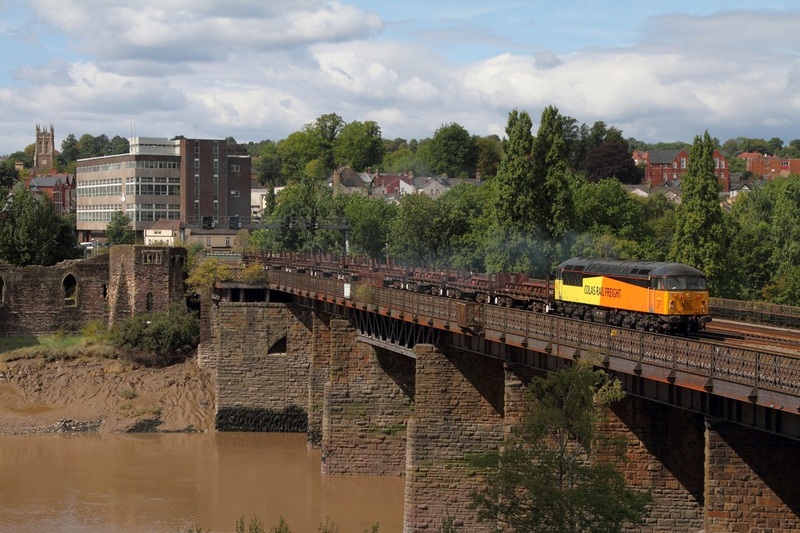 Colas Rail 56087 leads 56302 on the 6Z45 Llanwern to Newport Docks at Newport Docks on the 28th August 2014. 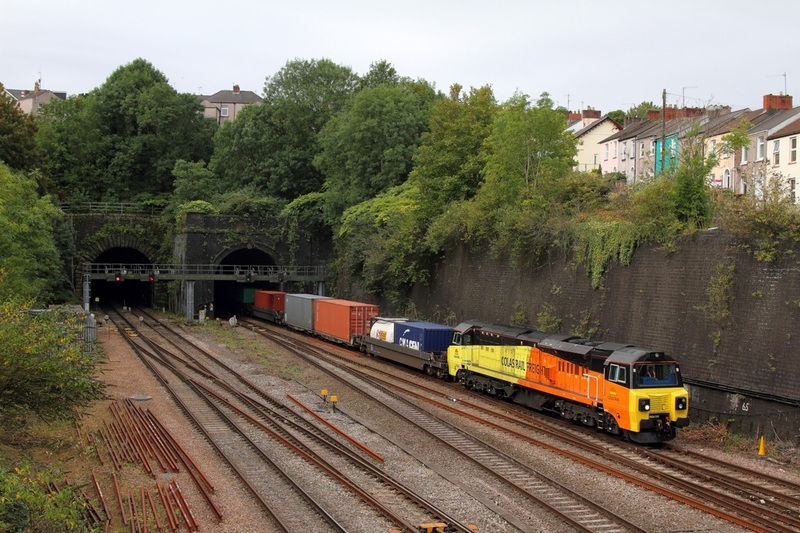 Colas Rail 70803 exits Hillfield Tunnels at Newport powering the 4O51 Cardiff Wentloog to Southampton freightliner on the 28th August 2014. 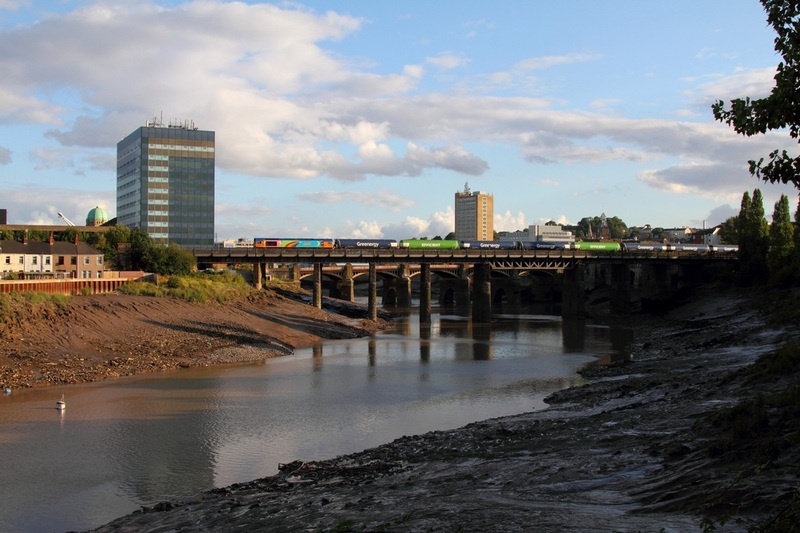 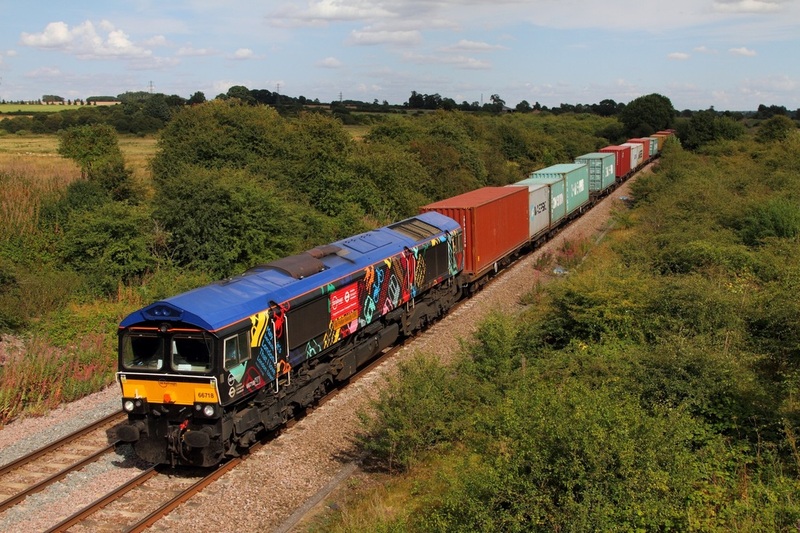 DB Schenker's EWS 66140 hauls the 6Z47 Wembley to Cardiff Docks at Maesglas on the 28th August 2014. 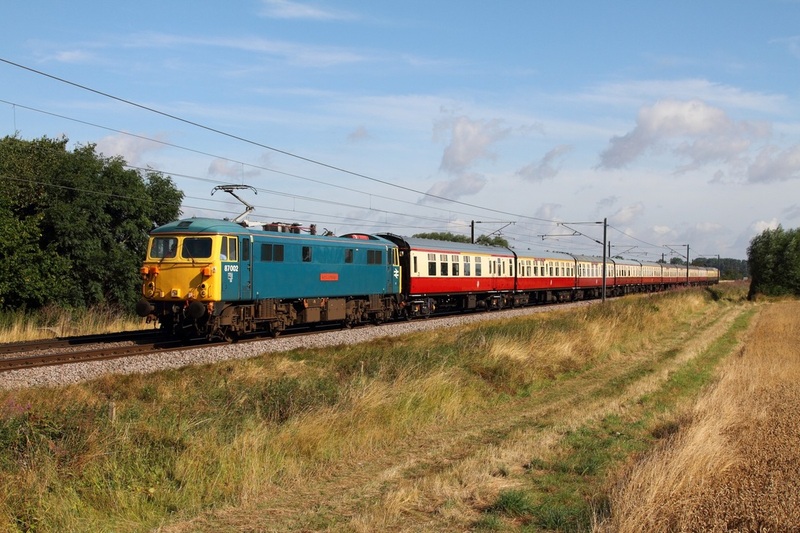 31233+72639+977974+31465 on the 1Q05 Cambridge to Derby RTC via Norwich returning from Middleton Towers towards Kings Lynn on the 23rd August 2014. 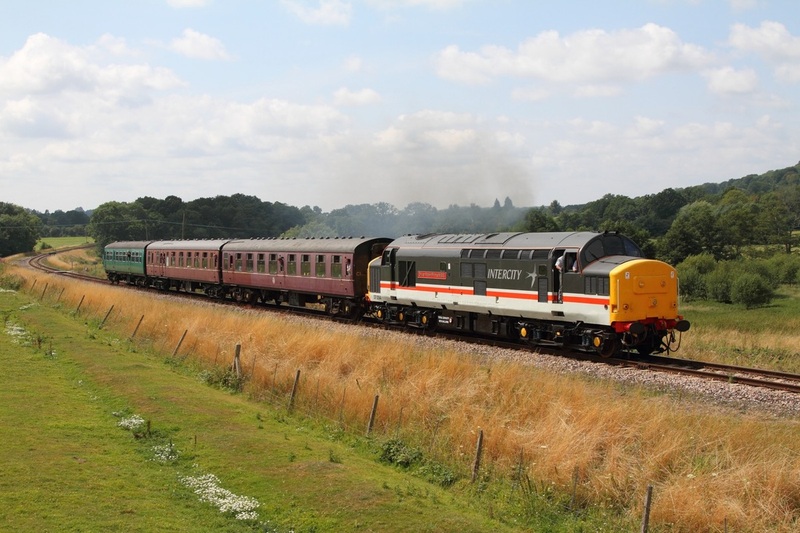 31233+72639+977974+31465 on the 1Q05 Cambridge to Derby RTC via Norwich at Santon Downham near Thetford on the 23rd August 2014. 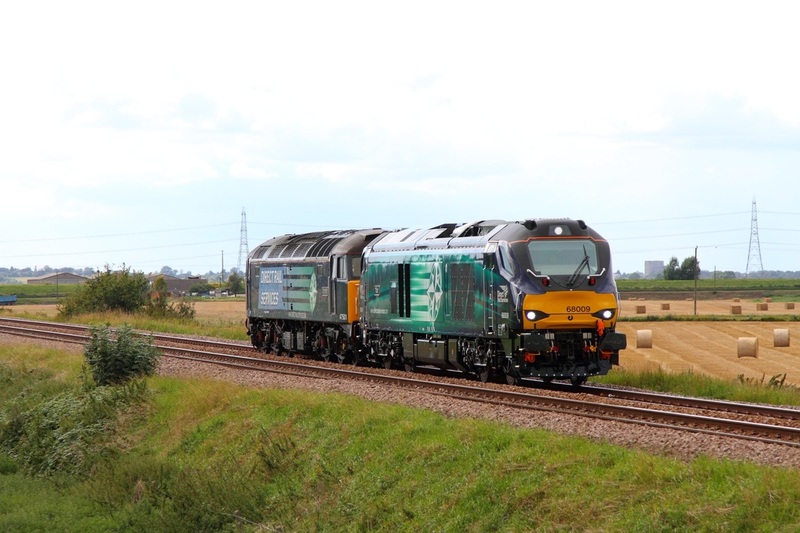 47843 tnt 47815 on the 1Z33 Doncaster to Great Yarmouth at Syston on the 20th August 2014. 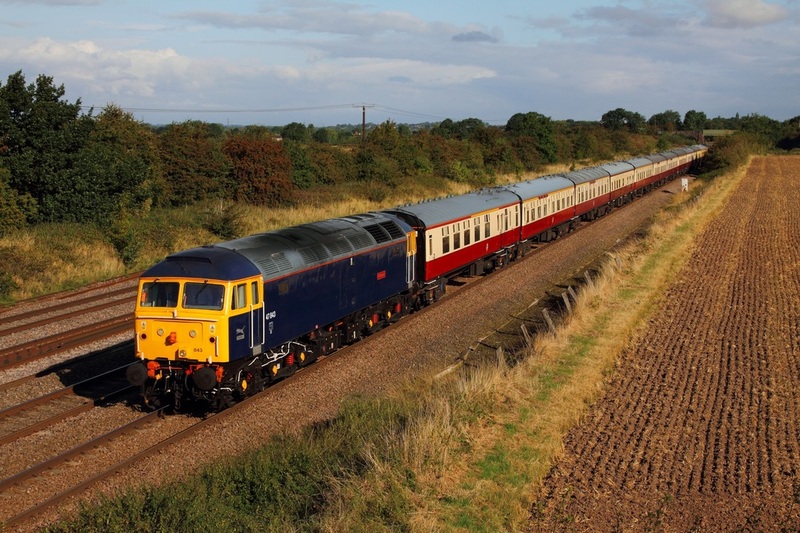 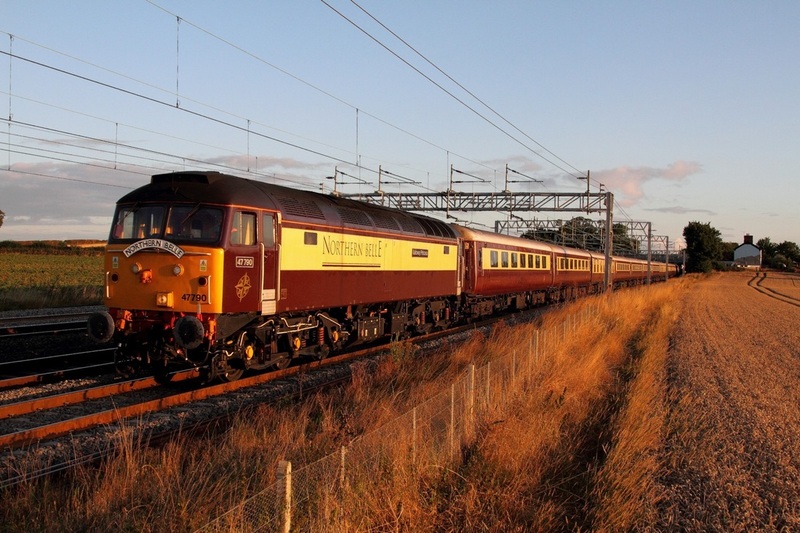 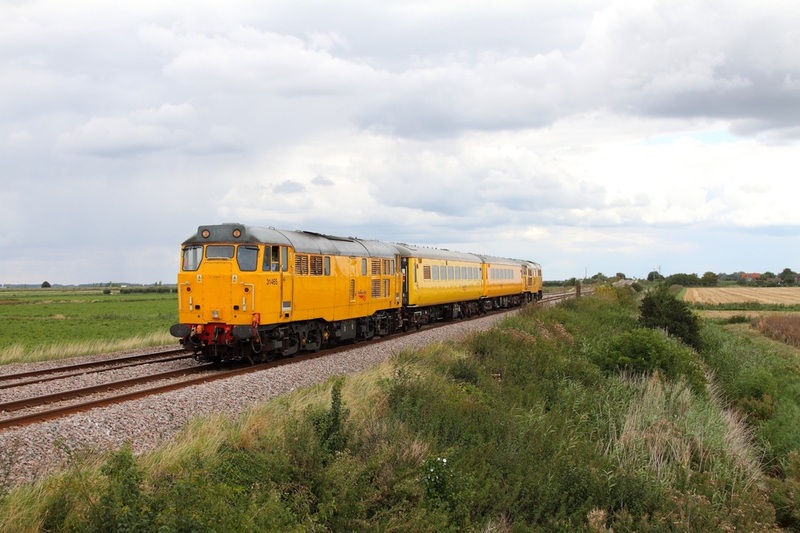 47843 tnt 47815 on the 1Z33 Doncaster to Great Yarmouth at Cossington on the 20th August 2014. 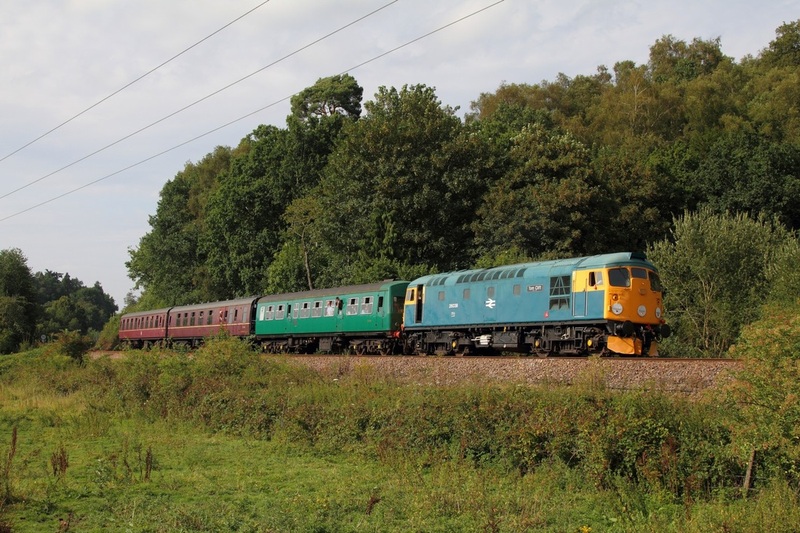 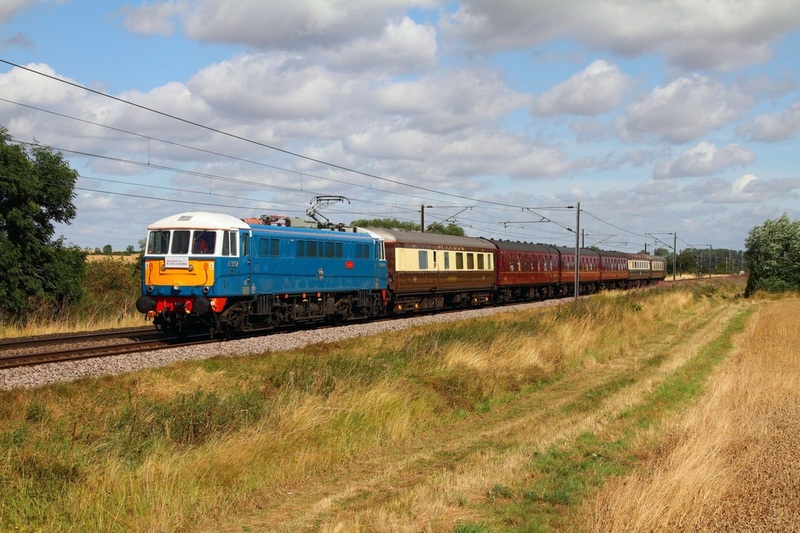 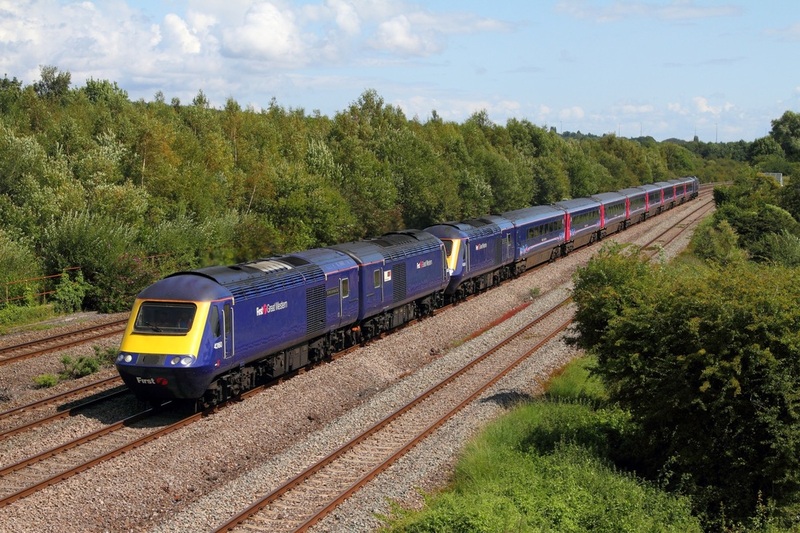 Northern Belle 47790 leads 57307 on the 5Z72 Crewe CS to Coventry at Grendon on the 23rd August 2014. 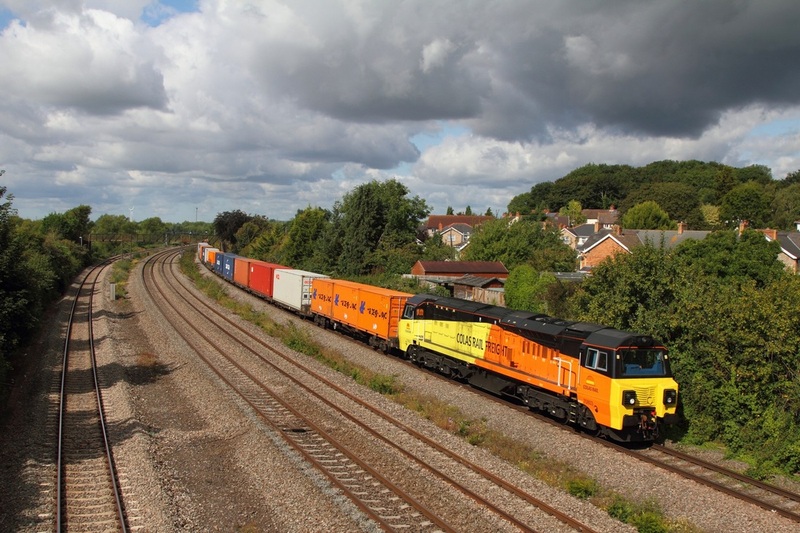 Colas Rail 56113 leads the 6Z42 Newport Docks to Llanwern at Newport on the 20th August 2014. 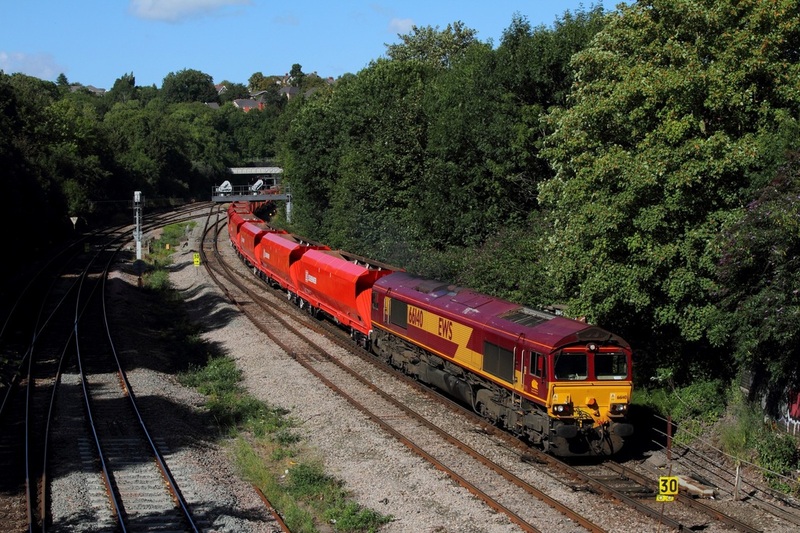 DB Schenker's 66097 on the 6H25 Margam to Llanwern at Newport on the 20th August 2014. 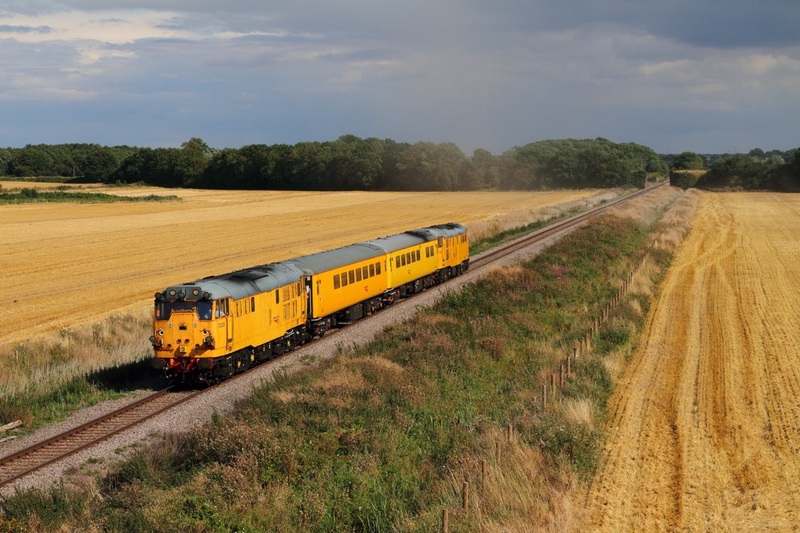 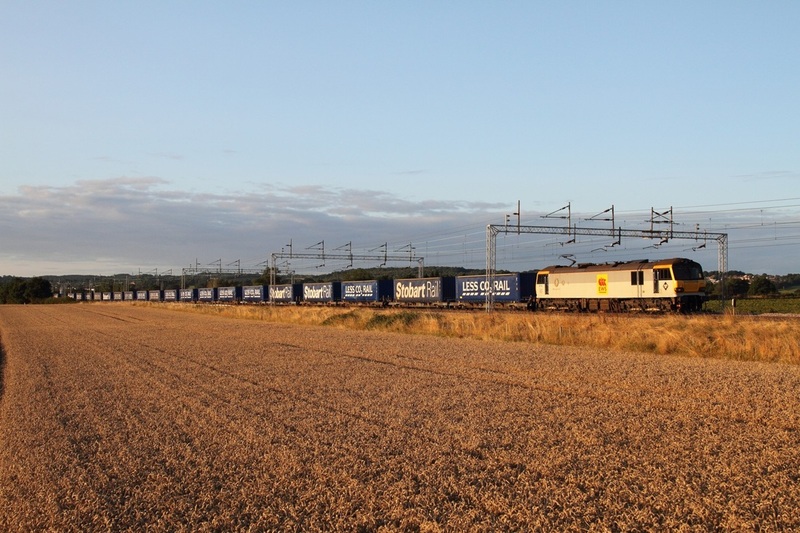 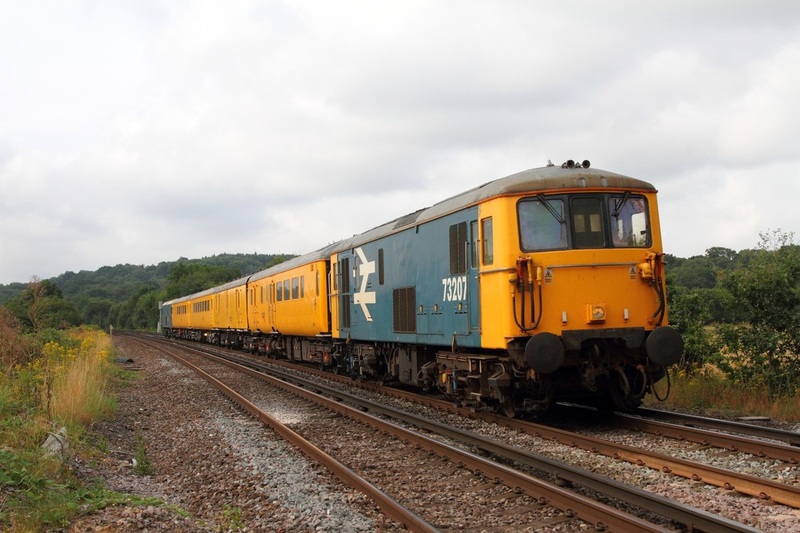 Colas 70803 powers the 4O51 Wentloog to Southampton freightliner at Undy on the 20th August 2014. 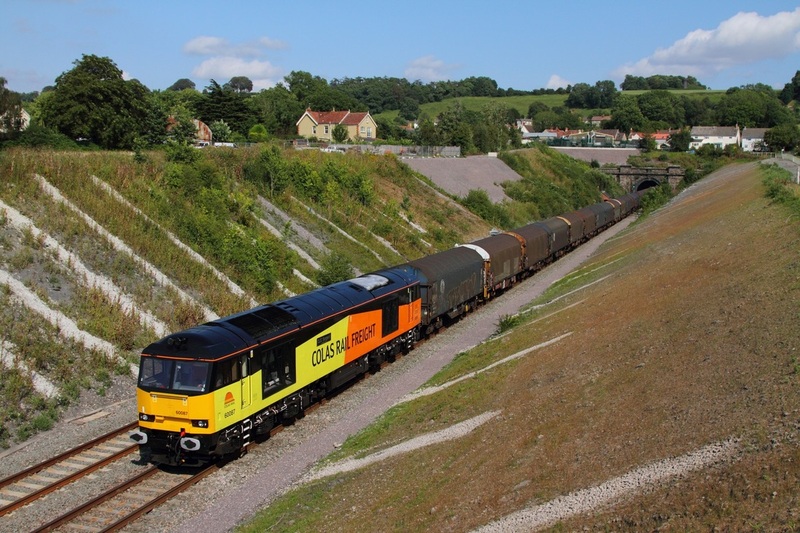 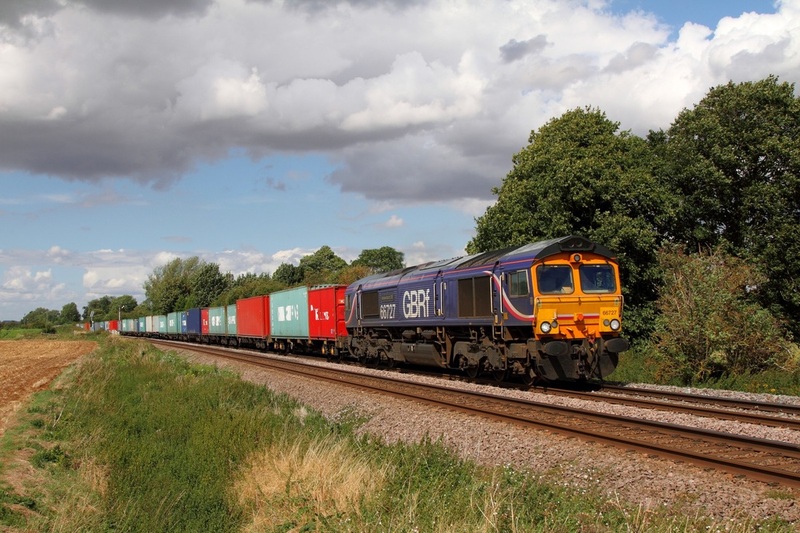 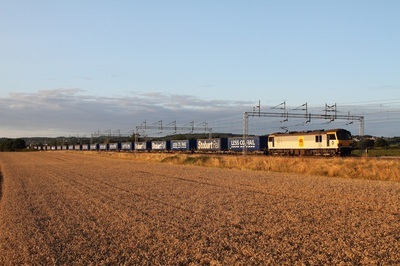 Colas Rail 70803 hauls the 4O51 Wentloog to Southampton freightliner at Newport on the 20th August 2014. 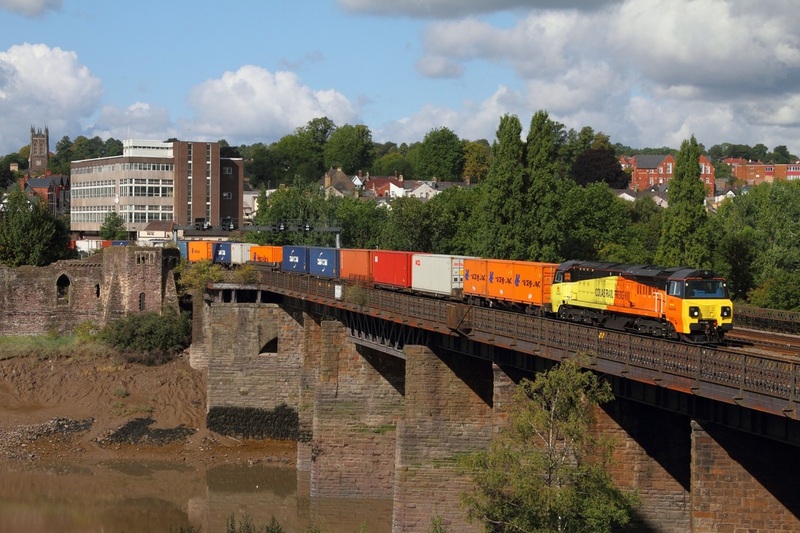 GBRf Rainbow liveried 66720 leads the 6E11 Cardiff Docks to Lindsey Oil Refinery at Newport on the 17th August 2014. GBRf London Transport liveried 66718 works the 4M23 Felixstowe to Hams Hall at Brentingby near Melton Mowbray on the 9th August 2014. 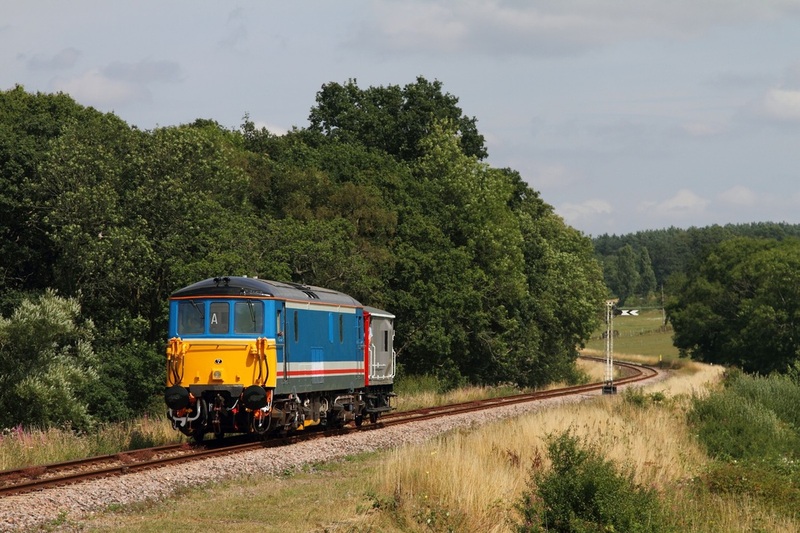 GBRf Barbie liveried 66727 powers through Ashwell hauling the 4L20 Hams Hall to Parkeston on the 9th August 2014. 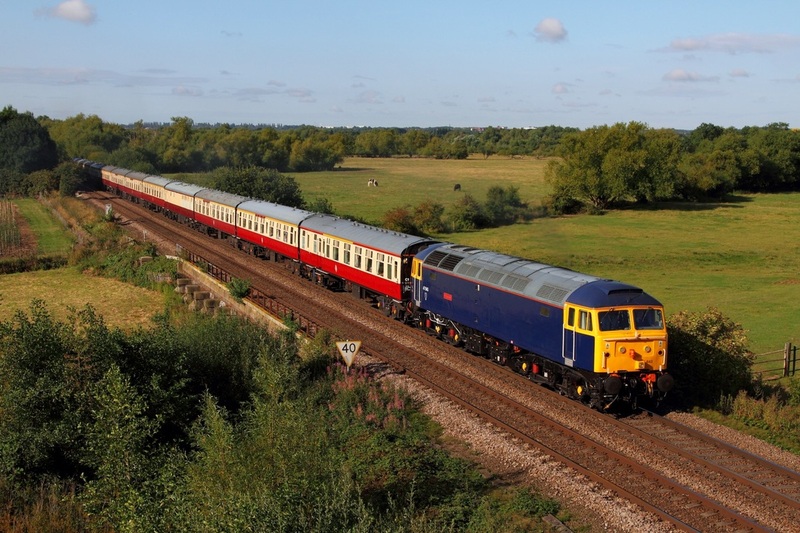 Br Blue 87002 'Royal Sovereign' leads the 1Z86 0709 Newcastle to London Kings Cross GBRf charter at Cromwell near Newark on the 9th August 2014. 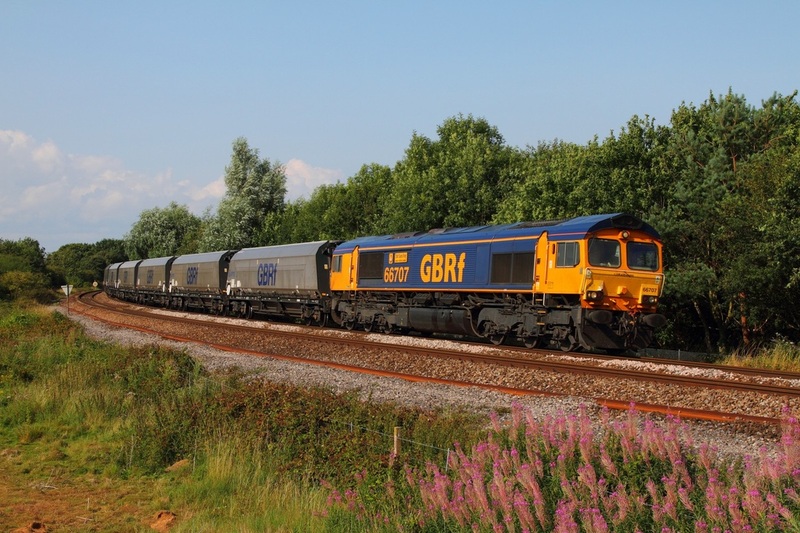 GBRf 66707 works the 4V94 Ironbridge to Portbury biomass running 46minutes late at Yate on the 6th August 2014. Colas Rail's 60087 powers the 6V62 Tilbury to Llanwern steel, this time through Old Sodbury near Westerleigh on the 6th August 2014. 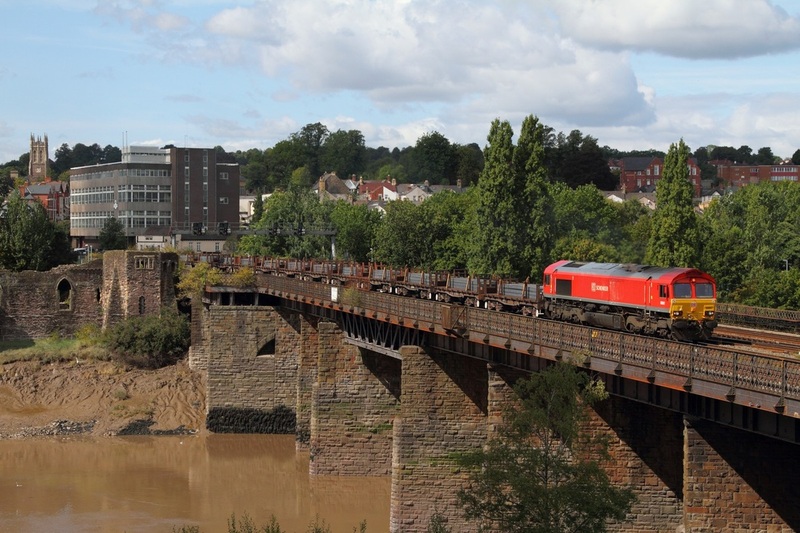 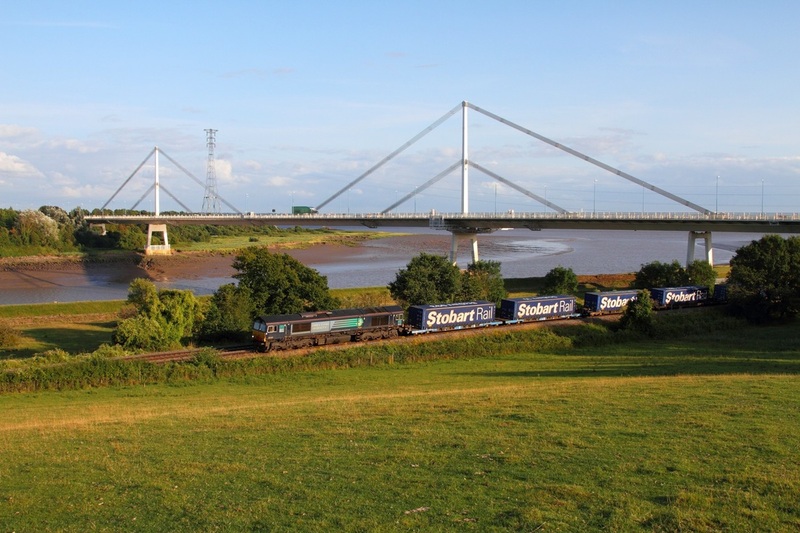 DRS 66422 powers the 4M36 Wentloog to Daventry at Thornwell, Chepstow on the 3rd August 2014. 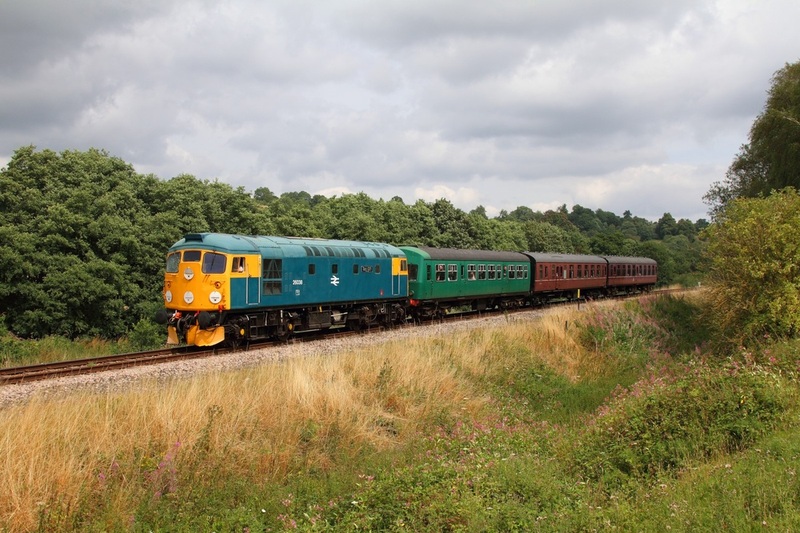 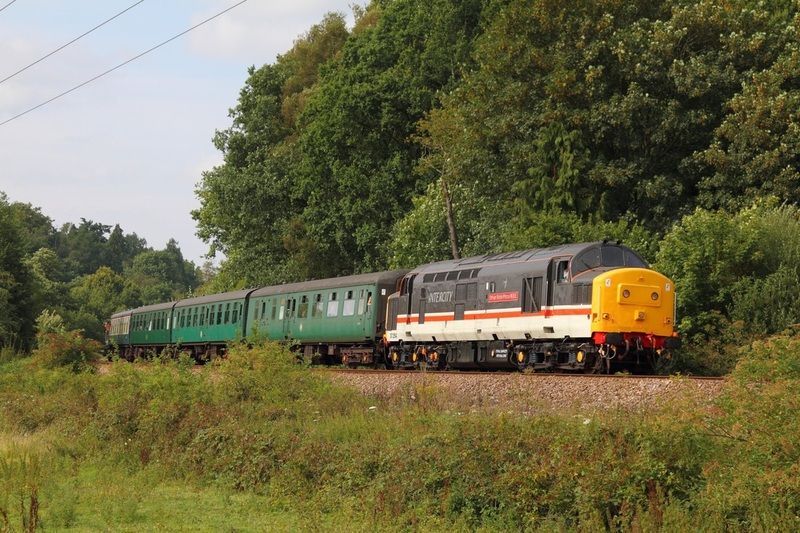 37254 on the 2T70 1315 Eridge to Tunbridge Wells at Pokehill farm crossing on the 1st August 2014. 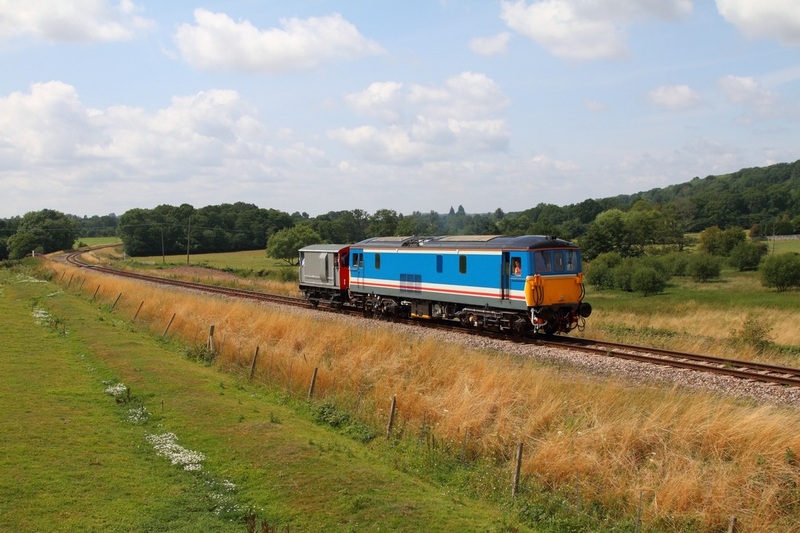 31206 on the 2J67 1320 Tunbridge Wells to Eridge at Pokehill crossing near Groombridge on the 1st August 2014. 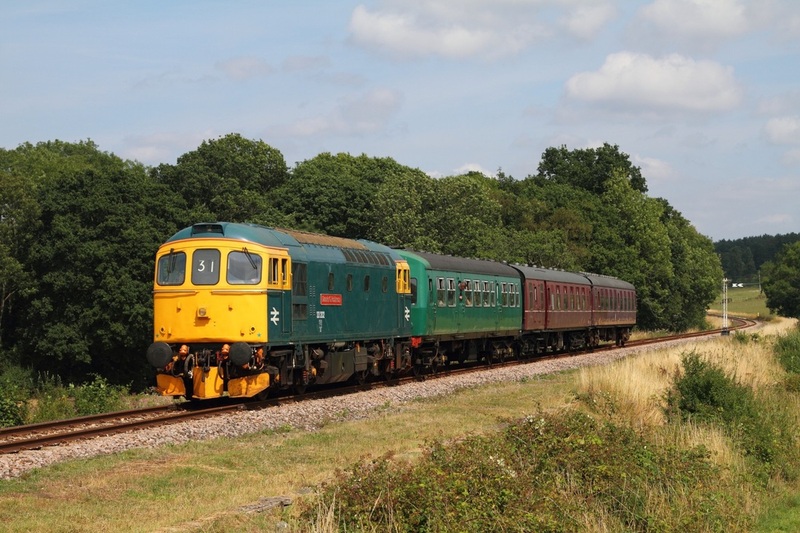 37254 on the 2J71 1520 Tunbridge Wells to Eridge at Ford Farm Crossing on the 1st August 2014. 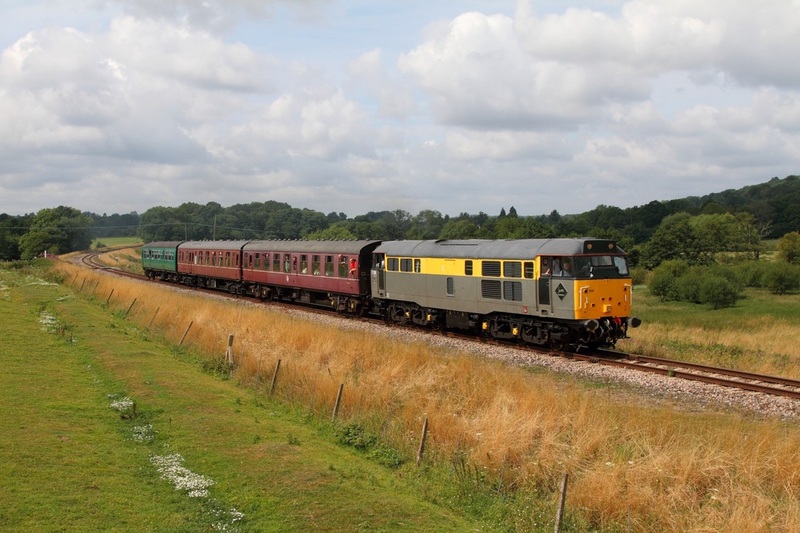 33202 on the 2J69 1420 Tunbridge Wells to Eridge at Lealands near Groombridge on the 1st August 2014. 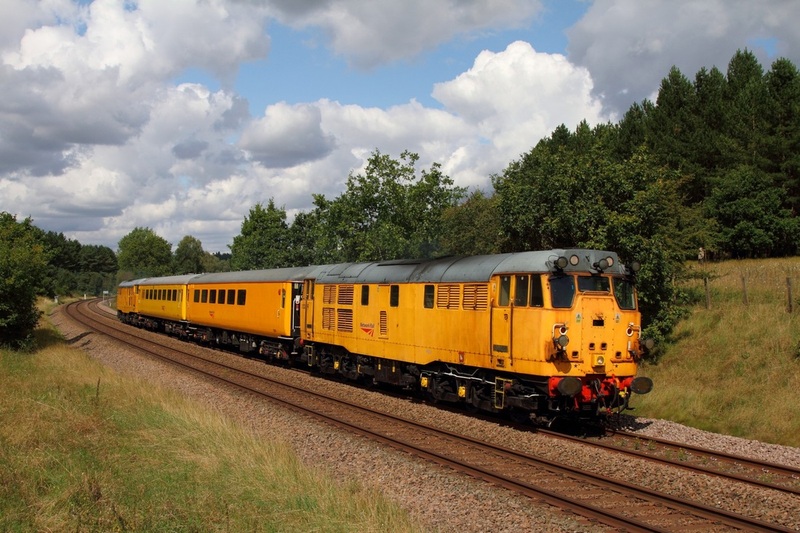 73207 tnt 73201 on the 1Q05 Eastleigh to Hither Green test train at Egham on the 1st August 2014. 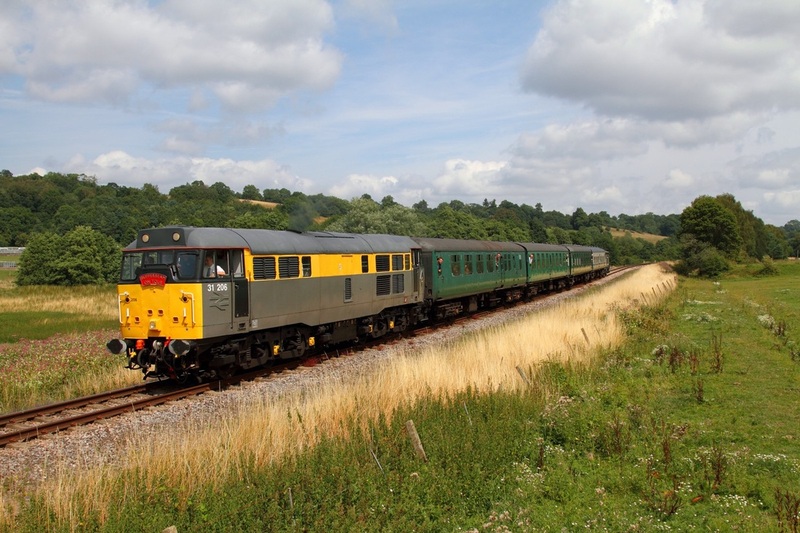 73140 at Lealands on the 2G13 1400 Tunbridge Wells to Groombridge on the 1st August 2014.